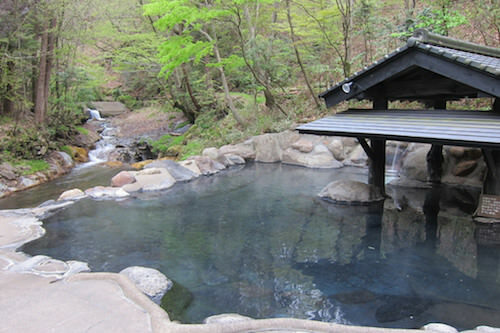 Kurokawa Onsen Resort is a part of Minami-oguni Town, located just about in the center of Kyushu, at the base of Kuju mountains. The spa resort is built along the upper stream valley of the Chikugo River, the longest river in Kyushu, at 700 meter elevation. Because of the topography, large hotels were never built there, and most hotels have ten to twenty-five guest rooms. 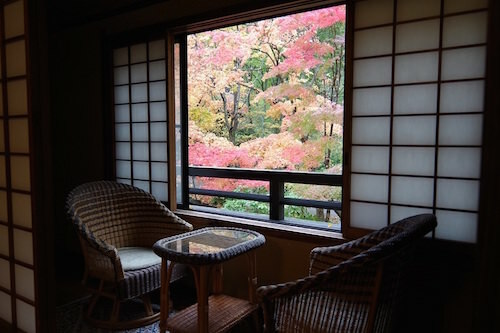 The easiest way to get to Kurokawa onsen is to fly or take the train to Fukuoka or Kumamoto in the Island of Kyushu and from there it is a two-hour drive (car rental or bus). 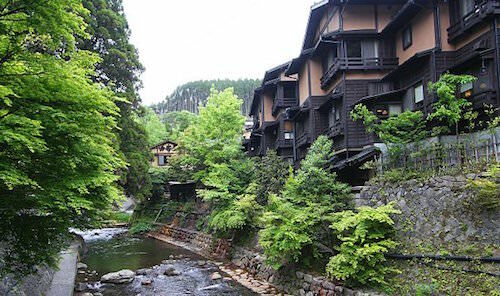 Yamamizuki is our recommended Onsen lodging just outside Kurokawa. They have English-speaking staff. There are indoor and outdoor baths, as well as many hiking trails in the area.